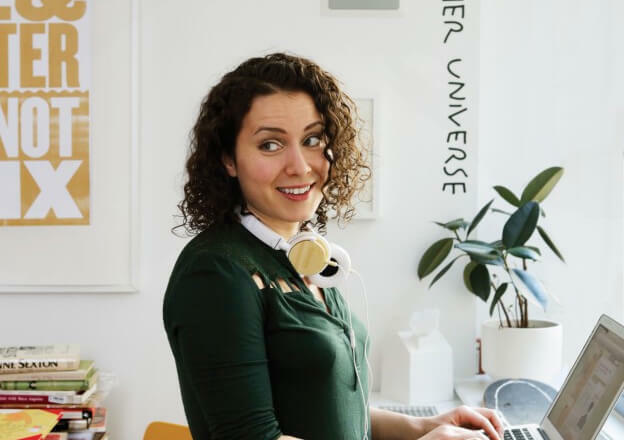 Maria Popova is the founder of Brain Pickings, which she describes as her “one-woman labor of love — a subjective lens on what matters in the world and why“. A self-described “interestingness hunter-gatherer and curious mind at large,” Maria spends her days collecting and sharing brilliant bits of “timeless and timely” insight that traverse time, space and discipline. Originally from Bulgaria, she resides in New York where she works 100+ hours a week as a “curiosity architect” for her more than a million followers. Maria got her start in advertising but found her niche in blogging and web curation. Brain Pickings started on October 23, 2006, when she sent a short email to a few friends at work, with the subject line “brain pickings,” announcing her intention to start a weekly digest featuring five stimulating things to learn about each week, from a breakthrough in neuroscience to a timeless piece of poetry. What began as a tiny experiment is now included in the Library of Congress digital archive of “materials of historical importance” and a few friends became millions of monthly readers all over the world. Brain Pickings also became a launching pad to many great achievements in her career. She has written for Wired UK, The Atlantic,The New York Times, and Harvard’s Nieman Journalism Lab. She is also an MIT Futures of Entertainment Fellow. 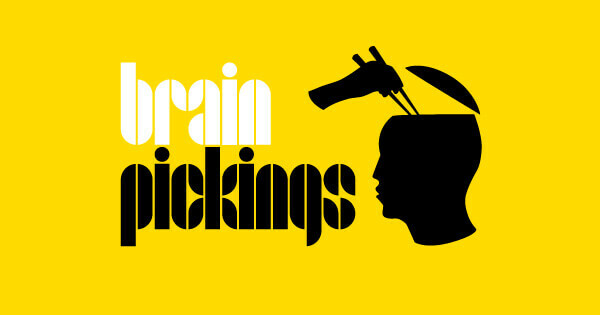 Brain Pickings has led to other projects such as: the Literary Jukebox, a weekly interestingness digest, podcasts, the Curator’s Code, just to mention a few. Maria sees Brain Pickings as her labor of love and her greatest joy and most profound source of personal growth, life and living. To commemorate the ninth anniversary of Brain Pickings in 2015, she shared her 9 learnings for 9 years of brain pickings. Although the anniversary is long past, they are still relevant and will remain that way for the foreseeable future. 5. When people tell you who they are, Maya Angelou famously advised, believe them. Just as importantly, however, when people try to tell you who you are, don’t believe them. You are the only custodian of your own integrity, and the assumptions made by those that misunderstand who you are and what you stand for reveal a great deal about them and absolutely nothing about you. All images via Maria Popova and Brain Pickings.